Aims and Objectives: To ascertain norms in cephalometry for 11- to 13-year-old Lingayat children in natural head position (NHP). Materials and Methods: Lateral cephalograms of children were obtained by using fluid level device. We determined the variance in Frankfort horizontal plane (FHP) inclination to extracranial horizontal in NHP. The G*Power, version 20 for Windows was used for analysis. Results: Reduced facial convexity was observed when the analysis was carried out in relation to true horizontal with significant difference of “t” value of 3.05 and percentage difference of 1.1 (P < 0.01) and for girls “t” value of 9.69 and percentage difference of 2.5 (P < 0.001). The highest correlation coefficient for Lingayat boys (r = 0.77) was seen between palatal plane and occlusal plane. We found least correlation coefficient among FHP and Sella–nasion plane (SNP). The coefficient was r = 0.62 and correlation coefficient of r = 0.70 was between FHP and determination coefficient r2 = 0.38 or 38%. For girls, highest correlation coefficient of r = 0.70 was seen among FHP and palatal plane. Conclusion: Conventional study of craniofacial forms of Lingayat children showed the average skeletal pattern as Class II with retrognathic mandible in comparison to Caucasians. However, when seen in NHP by new method of analysis based on the true horizontal, the skeletal model was Class III in comparison to Caucasians. 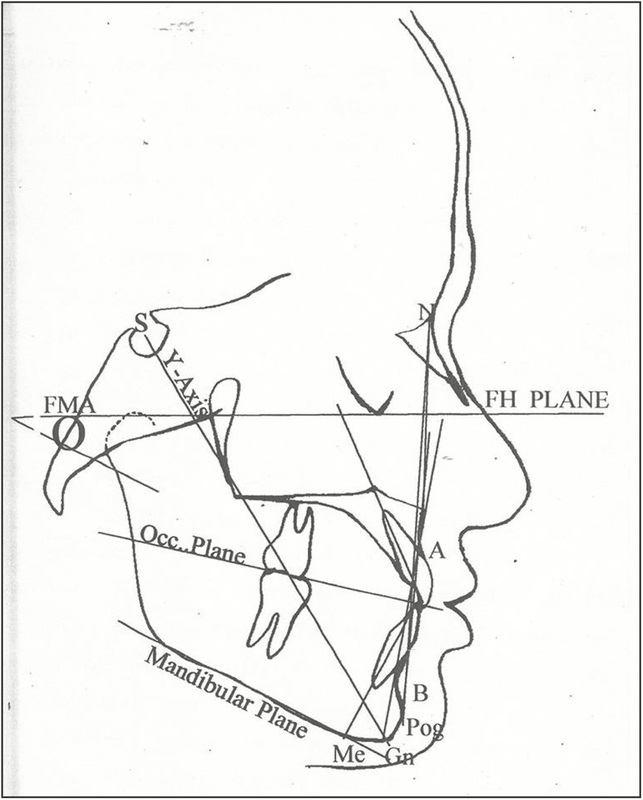 Introduction of cephalometric evaluation in 1930s is considered as an important landmark in orthodontics. Now radiographic analysis is a necessary diagnostic tool, giving vital details about the growth and development of an individual. Lingayat community is mostly localized in North Karnataka, India. We carried this study to lay down cephalometric standards in 11- to 13-year-old Lingayat children in NHP. A total of 220 subjects (110 of each gender) belonging to Lingayat community from Bagalkot population (schools), aged 11–13 years were included. The study was carried out from January 2016 to December 2017. Sample size was calculated using G*Power software (Institute for experimental psychology in Dusseldorf, Germany). The obtained sample was rounded off to 220. We obtained institutional ethics committee approval (Ethics committee clearance no. PMNM/152/KA/2016) and also obtained consent from the parent/guardian of the children. Lateral cephalograms of children were obtained in NHP with a fluid level device. Lingayat community children in the age group of 11–13 years. Those with Angle’s Class I with normal alignment of teeth and minor crowding. Absence of history of orthodontic management. Absence of any deformity of facial skeleton. Lateral cephalograms of 220 children in centric occlusion were taken by standardized cephalometric technique on “Trophies odontroma P.C. Mixte” cephalometric X-ray machine. Kodak films of size 8” × 10” were exposed at 70–80kV/8–10 mA with 5’ and 2” film focus distance and 6” from the film and midfrontal plane, for 2–3s. The subjects were explained about the radiographic procedure. In view of language difficulty of Lingayat school children, services of bilingual assistant were used. Every child was provided the sugar-free cold drink to standardize their mental and physical state as these may influence the posture. Centric occlusion was confirmed and by using the wall mirror, each one was informed to occlude with the lip in light contact. All patients were told to take one step front, smoothly move up and down, and later keep their eyes closed. The fluid level device placed on a strap was then tied on head of the patient. Strap position was standardized by placing it 2mm above the eyebrows in the front and on the back, the strap lied exactly on the occipital protuberance. The subjects were then told to open his or her eyes and look into their own eyes in a mirror and then fluid level was readjusted or rotated on its pivot until the bubble was aligned in the center. The procedure was carried out again until two constant readings were obtained. They were made to sit on an adjustable hydraulic chair supported by wheels. Care was taken to move the chair but not the head, spine, or shoulder. The subject was then positioned in cephalostat, which had a plumb line (metallic wire hanged with the weight) in front of cassette to specify the true vertical. Ear posts were then lightly engaged. Subject’s head was not moved to fit the cephalostat. Subjects were again instructed to see their eyes in mirror on the wall at 5 feet distance. Then before shooting the radiographs, head was again moved up or down until the same point of bubble was achieved as had been observed immediately before placing the subject on the chair. Now subjects were not asked anything as this often causes the head to be nodded in reply. The z test was used to compare two positions. Normal values were prepared with 95% confidence limit. Simple correlation analysis was carried out for intracranial reference planes and paired t test to calculate systematic error. Forty cephalograms (20 males and 20 females) randomly selected were again traced by the same operator. It was not significant in any variable. Random error was assessed through Dahlberg’s equation. Values were small and ranged between 1.2° and 2.9°. [Table 1] shows the mean value, standard deviation (SD), standard error (SE), and 95% confidence interval (CI) of Down’s analysis of 220 (110 males and 110 females) Lingayat children with FHP as the horizontal reference plane [Figure 1]. [Table 2] shows the mean value, SD, SE, and 95% CI of Cooke’s five-factor summary analysis of 220 (110 males and 110 females) Lingayat children with true horizontal as reference [Figure 2]. [Table 3] shows mean value, SD, SE, and 95% CI of Viazis analysis of 220 (110 males and 110 females) Lingayat children with true horizontal and true vertical as reference plane [Figure 3]. 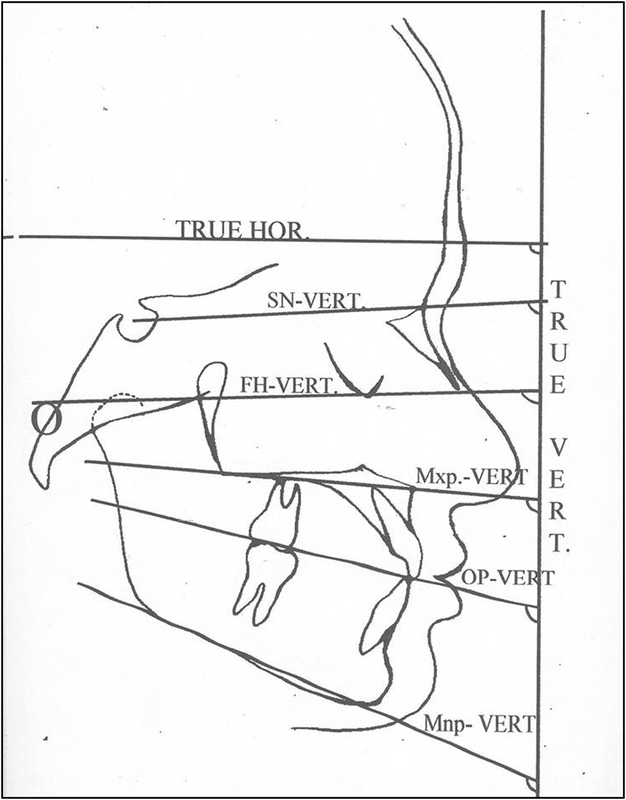 [Table 4] shows the mean value, SD, SE, and 95% CI of the intracranial reference plane in correlation to true vertical reference line and the true horizontal [Figure 4]. [Table 5] shows the inclination of FHP and SNP to true horizontal with head in NHP. Significant difference was seen for both genders [Figure 5]. [Table 6] shows the relation of facial angle and true horizontal to be 87.41° ± 3.7° in comparison to FHP (86.45° ± 3.03°). This shows that facial convexity is reduced when the analysis is carried out in relation to true horizontal with significant difference of t value of 3.05 and percentage difference of 1.1 (P < 0.01) and for girls, t value of 9.69 and percentage difference of 2.5 (P < 0.001). To evaluate the relation of the intracranial reference plane, a simple correlation analysis was carried out [Table 7]. The highest correlation coefficient for Lingayat boys (r = 0.77) was between palatal plane and occlusal plane. Although highly significant, the determination coefficient, r2 = 0.592 or 59.2%, indicates that approximately half of the variation of one plane can be described by variation of the other. We found least correlation coefficient among FHP and SNP. The coefficient was r = 0.62 and correlation coefficient of r = 0.70 was between FHP and determination coefficient r2 = 0.38 or 38%. For girls, highest correlation coefficient of r = 0.70 was between FHP and palatal plane. Lingayat girls are head extenders, meaning head up posture with steep angulation of the anterior cranial base to true vertical reference line and Lingayat boys are head flexors meaning head down posture with anterior cranial base more horizontal, but statistically insignificant difference was seen with z value of 1.03. A possible explanation for this might be that girls are generally told to assume a good posture, looking straight ahead, perhaps boys assume a lazier head position. Our results are in contrast with the study by Huggare and Harkness. The introduction of an adjustable fluid level device attached to temple area forms our study basis and it is easy to use and also has a benefit of high reproducibility. We did not observe any literature on the cephalometric standards of Lingayat population in the NHP. Shortcomings of earlier literature carried in an attempt to ascertain population standards are that a large range of age or only adults were considered. Norms must be laid for children of around 12 years when orthodontic treatment generally is started. Norms of Cooke’s five-factor summary analysis in Lingayat children showed that they have a more or less horizontal growth pattern and a strong chin compared to the Caucasians and Chinese. Angle 2 (U1, horizontal) in Lingayat children showed that their upper incisors were proclined more when matched with Caucasians but are in the same range with that of the Chinese subjects. Angle 3 (facial plane, horizontal) in Lingayat children and the Chinese did not reveal much significant variation among them but had a significant difference in comparison with Caucasians. This shows that Caucasian has a retruded mandible in comparison to the Chinese and Lingayat, as there is variation of SN to vertical in NHP. This finding confirms the results of Cooke and Wei, 1988. Conventional analysis showed that Lingayat subjects to be Class I with an A point–nasion–B point (ANB) angle of 3.47°, which is slightly Class II side of Caucasians ANB of 3.1° and similar to general view of previous studies of the Indian faces, the skeletal pattern tending toward Class II with the chin appear retrognathic. Highly significant intergroup difference was seen in reverence to the angulation between true vertical standard and intracranial reference planes. Lingayat children displayed more downward angulation when seen in NHP than Caucasians and more or less the same angulation compared to Chinese. Insignificant variation was seen among Lingayat and Chinese children, but in comparison to the Caucasians, the difference was highly significant (P < 0.00l). Genderwise intracranial reference plane comparison revealed insignificant variation between them in SN/vertical angle (z value, 1.03), but significant difference was observed in relation to the FHP (P < 0.0l), the MxP (P < 0.05), occlusal plane (P < 0.001), and mandibular plane (P < 0.01). These findings confirm the findings by Cooke and Wei, and they are suggested to use more reference planes. To evaluate how much the SN and FH intracranial horizontal reference plane is deviated from true horizontal, a simple analysis was proposed by Lundström and Lundström (1995). Despite the revealing fact that NHP is a more dependable reference plane during cephalometric analysis, the orthodontists worldwide continue to use different intracranial reference planes. There is an unambiguous need of a more comprehensive study to validate the dependability of NHP as a reference plane to erase the age-old concept of intracranial reference planes engraved in the thoughtful minds of orthodontists. Lingayat children craniofacial form matches with that of Chinese children. The facial profile of Lingayat boys is more convex than the girls. When observed in natural position, based on the true horizontal, the true life skeletal pattern has been shown to be Class III in relation to the Caucasians. Future studies should focus on making subjects to sit on a stable position such as height-adjustable stool and use three-dimensional photographs for assessing NHP. Studies should also focus on reproducibility by taking images at different intervals in standing and sitting positions and also including subjects with malocclusion for orthognathic treatment purpose. The craniofacial form of Lingayat children matched with that of Chinese children. Lingayat boys had more convex facial profile than the girls. When observed in natural position and using the new method of analysis based on the true horizontal, the true life skeletal pattern was Class III in comparison to the Caucasians. Heil A, Lazo Gonzalez E, Hilgenfeld T, Kickingereder P, Bendszus M, Heiland S, et al. Lateral cephalometric analysis for treatment planning in orthodontics based on MRI compared with radiographs: a feasibility study in children and adolescents. PLoS One 2017;12:e0174524. Karad A, Chhajed S. Cephalometric analysis for functional occlusion. APOS Trends Orthod 2016;6:287-94. Qadir M, Mushtaq M. Assessment of reliability and accuracy of various cephalometric reference planes using comparative cephalometric analysis. IOSR-JDMS 2017;16: 69-74. Zecca PA, Fastuca R, Beretta M, Caprioglio A, Macchi A. Correlation assessment between three-dimensional facial soft tissue scan and lateral cephalometric radiography in orthodontic diagnosis. Int J Dent 2016;2016:1-8. Park IK, Lee KY, Jeong YK, Kim RH, Kwon DG, Yeon S, et al. Recording natural head position using an accelerometer and reconstruction from computed tomographic images. J Korean Assoc Oral Maxillofac Surg 2017;43:256-61. Park Y, Cho Y, Mah J, Ahn J. 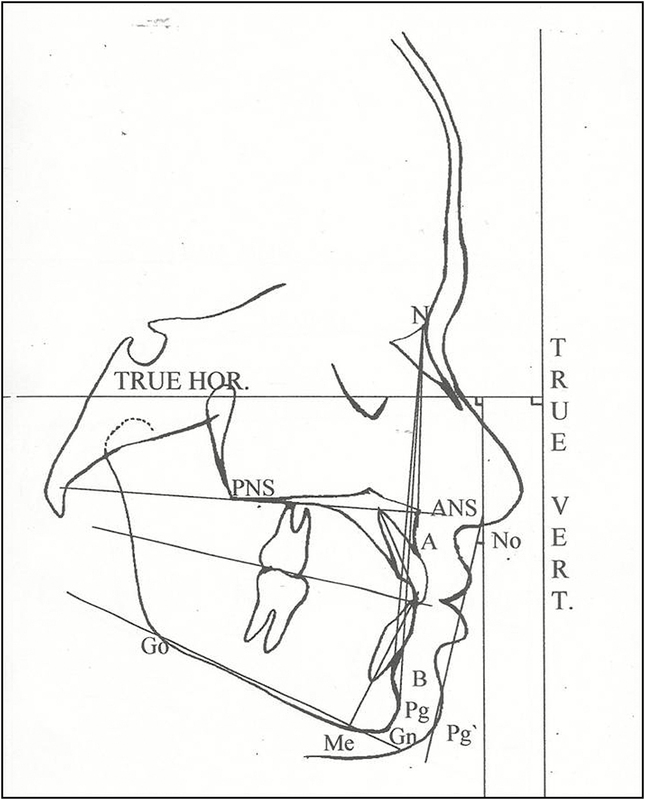 Assessment of anterior-posterior jaw relationships in Korean adults using the nasion true vertical plane in cone-beam computed tomography images. Korean J Orthod 2016;46:163-70. Makhbul MZM, Burhanudin R, Wan Hassan WN. An audit of the quality of lateral cephalometric radiographs for orthodontic treatment. Malaysian Dent J 2016;39:35-51. Hashim HA, AlBarakati SF. Cephalometric soft tissue profile analysis between two different ethnic groups: a comparative study. J Contemp Dent Pract 2003;4:60-73. Ioi H, Nakata S, Nakasima A, Counts A. Effect of facial convexity on antero-posterior lip positions of the most favored Japanese facial profiles. Angle Orthod 2005;75:326-32. 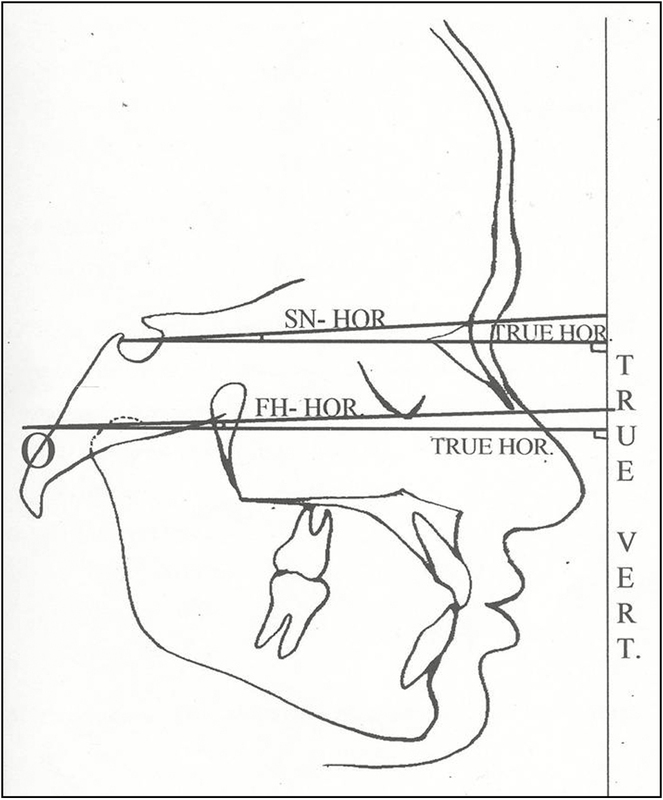 Nandini S, Prashanth CS, Somiah SK, Reddy SR. An evaluation of nasolabial angle and the relative inclinations of the nose and upper lip. J Contemp Dent Pract 2011;12:152-7. Kshetrapal A. Modification of fluid level device for easier use. J Ind Orthod Soc 2014;48:215-6. Meiyappan N, Tamizharasi S, Senthilkumar KP, Janardhanan K. Natural head position: an overview. J Pharm Bioallied Sci 2015;7:424-7. Nouri M, Mir M, Akbarzadeh A, Marami A. Three-year reproducibility of natural head position; a longitudinal study. JDT 2006;3:178-83. Suresh G, Anil C, Chakravarthy VG, Vizia M, Kishore T. Device to take facial photographs in Frankfort horizontal plane in a standardized manner at repeated intervals. J Indian Orthod Soc 2018;52:17-21. Huggare J, Harkness E. Associations between head posture and dental occlusion. J Dent Res 1993;72:255. Aggarwal I, Singla A. Soft tissue cephalometric analysis applied to Himachali ethnic population. Indian J Dent Sci 2016;8:124-30. Cooke MS, Wei SH. Cephalometric standards for the southern Chinese. Eur J Orthod 1988;10:264-72. Cooke MS, Wei SH. A comparative study of southern Chinese and British Caucasian cephalometric standards. Angle Orthod 1989;59:131-8. Wen YF, Wong HM, McGrath CP. A longitudinal study of facial growth of southern Chinese in Hong Kong: comprehensive photogrammetric analyses. PLoS One 2017;12:e0186598. Xu F, Wu D, Toriyama R, Ma F, Itakura S, Lee K. Similarities and differences in Chinese and Caucasian adults’ use of facial cues for trustworthiness judgments. PLoS One 2012;7:e34859. Leitao P, Nanda RS. Relationship of natural head position to craniofacial morphology. Am J Orthod Dentofacial Orthop 2000;117:406-17. 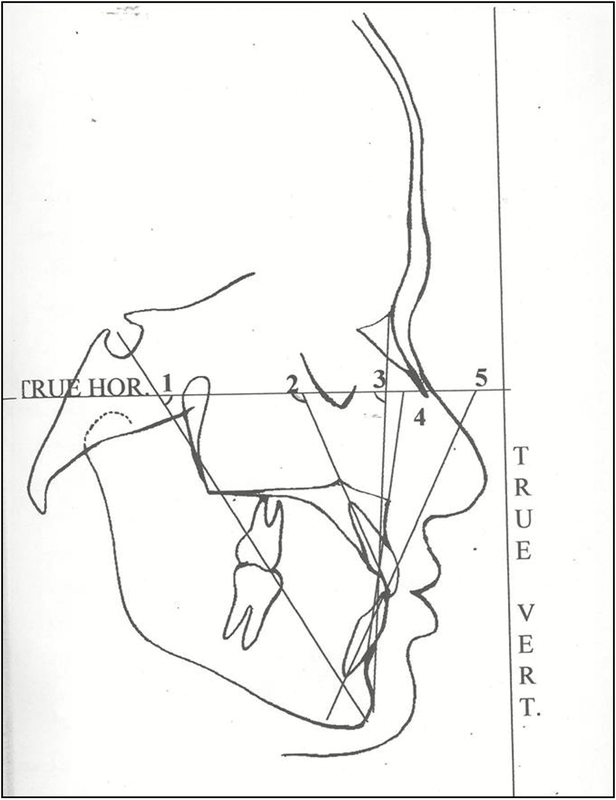 Lundström A, Lundström F. The Frankfort horizontal as a basis for cephalometric analysis. Am J Orthod Dentofacial Orthop 1995;107:537-40.